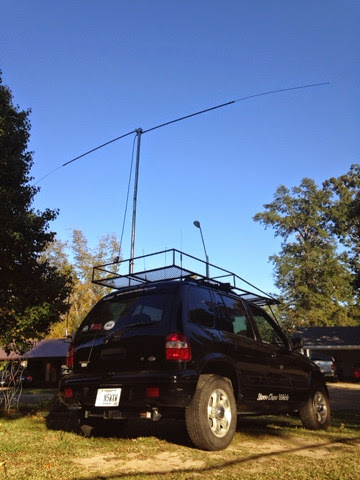 When I first purchased this antenna from MFJ I was worried about my limited amount of height I could reach. After I borrowed an antenna analyzer to really see how well this antenna was performing. I found out my swr was nearly a 6 which is awful. After some testing I got it down to 1.4 to 1 which is very acceptable. I figure the higher I can get it the better. I also tried the same set up vertically and could never get the swr below a 4. The horizontal option was the way to go. 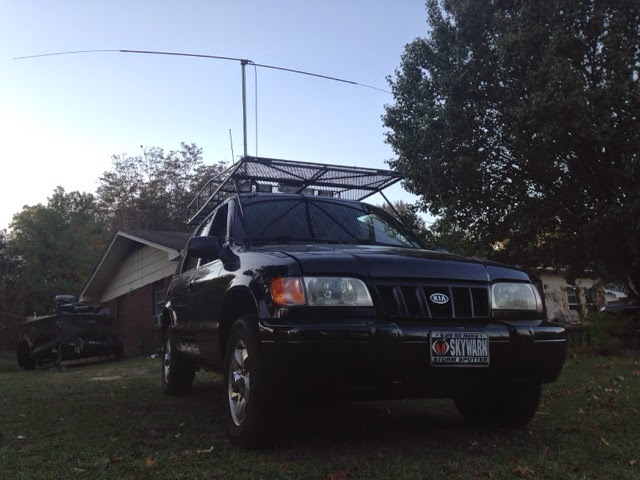 In the pictures below I have constructed a portable mast setup to get the dipole about 12 feet off of the ground. While I hooked my icom-725 up to test I was astonished at how well it performed. 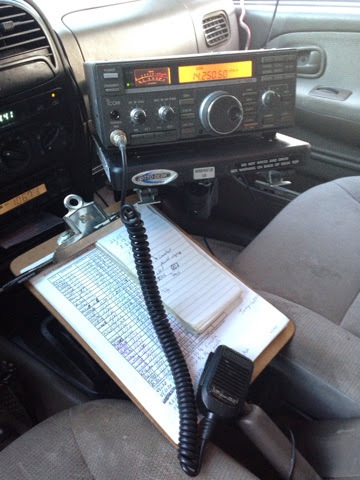 I made 59 contacts to Connecticut, Texas, and West Virginia all on about 50 watts, I even tested this same setup with the same operators running 10 watts and still had a very acceptable signal report. About a minimum report of 55. Over the coming days I will be working on getting a few more pipe sections to raise it up to about 23 feet and a guided wire system so I do not have to worry about high winds threatening the setup. I will also be looking into getting more dipole sticks for different bands. Right now I am limited to 20 meters.